Type and type-founding; Handbooks, manuals, etc. 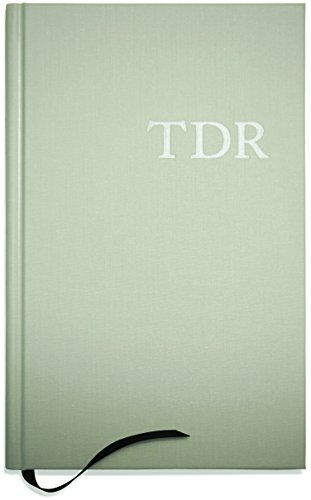 Amazon.com description: Product Description: The Typographic Desk Reference aka TDR is an encyclopedic reference guide of typographic terms and classification with definitions of form and usage for Latin based writing systems. The second edition, in the works since 2010, has more than doubled in size to include: - new historical information on letterpress printing, the business of composition, and typographic technologies of the past; - current technologies such as OpenType and web fonts; - expanded entries on paper and book sizes, including contemporary and historical standards for sheets and fold counts; - a much improved scheme for classifying the specimens, which have grown to include more than 80 typefaces; - improved topical placement: for instence, typographical rules exist as form but also physical objects when associated with handset type. The four main sections are: Terms -- definitions of format, measurements, practice, standards, tools, and lingo; Glyphs -- the list of standard ISO and extended Latin characters, symbols, diacritics, marks, and various forms of typographic furniture; Anatomy & Form -- letter stroke parts and the variations of impression and space; and Classification & Specimens -- a historical line with examples of form from blackletter to contemporary sans serif types. Designed for quick consultation, entries are concise and factual, making it handy for the desk. Theodore Rosendorfs career has taken him to clients in the US and abroad for some of the worlds most well known brands. He lives and works in Decatur, GA. Available Winter 2016. 152 pages. Hardcover. 5.5 x 8.5 inches. About: The Typographic Desk Reference aka TDR is an encyclopedic reference guide of typographic terms and classification with definitions of form and usage for Latin based writing systems.